Hello Sunshine! How are you enjoying the rainy days? Me, I've been loving it so far. I miss having cool evenings and walking under a soft drizzle. But before all that love, let me share with you how my summer 2014 ended with a bang! In true New-York Fashion, I partied with my Kiehl's Philippines family and celebrated 160 years of world's finest skin care. 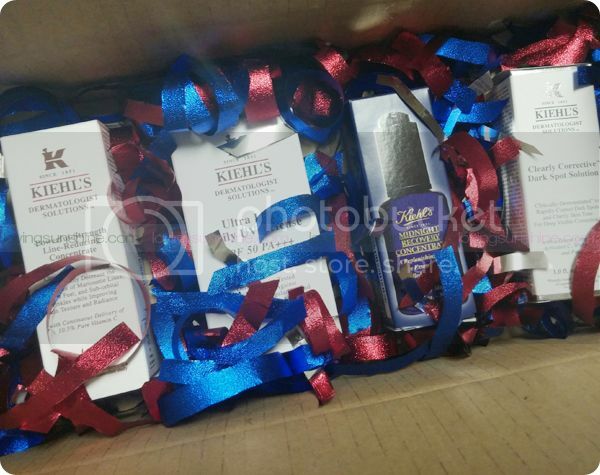 Continue reading to learn more about the Kiehl's celebration, and of course to learn more about great products from the brand that embody no rules, just skin care that works! 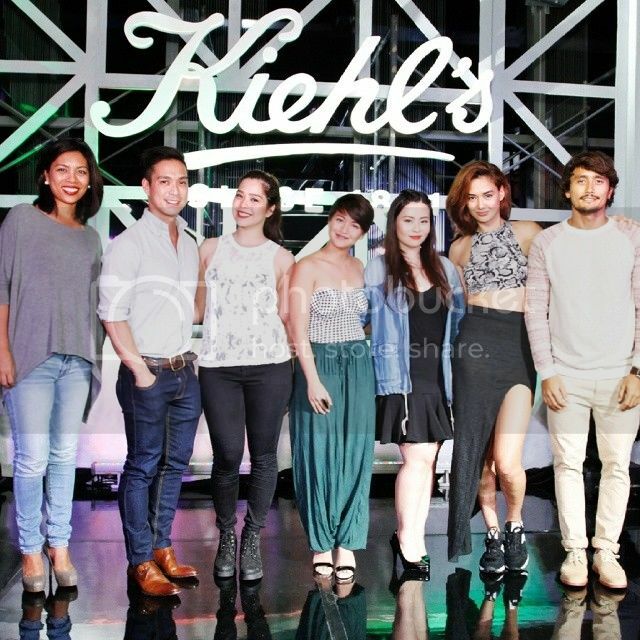 Held atop Zuellig Roofdeck Garden, Manila's finest gathered New York City style to celebrate Kiehl's Stories, and its heritage of true authority in skin care. It was a night of music, art, fashion, and all things beautiful so I thoroughly enjoyed my stay. There was even a live mural painting that guests got to participate in, FUN! 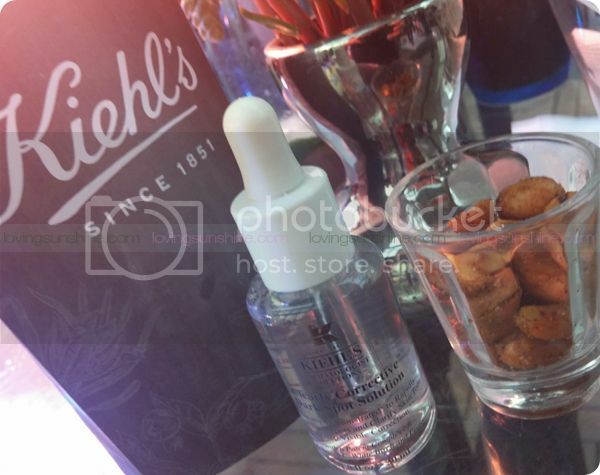 The Kiehl's Stories party also recognized the one-of-a-kind skincare ingredients found in every bottle of Kiehl's. 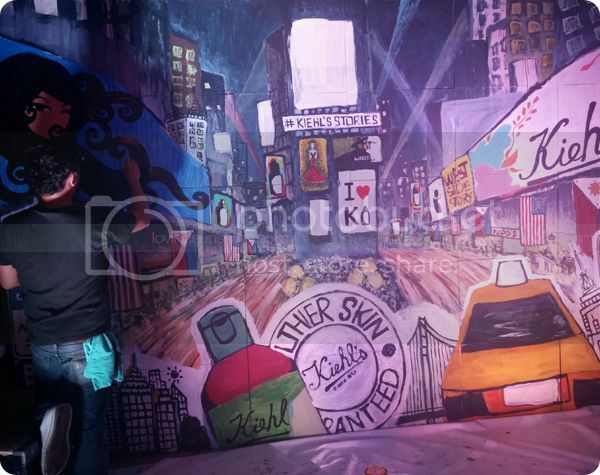 So literally, each Kiehl's product has a story to tell, and it was what the evening of New York inspired partying was for; to recognize the Kiehl's Stories in the Philippines and of its Filipino users. So what Kiehl's stories do I have to share? Hm, let's check out what came in my box, from New York, with love. The sight of dark spots may seem irreparable to many. Perceived to be something collected over time, thus making it hard to hit these spots and to deconstruct them. However, Kiehl’s breaks through this notion with the Clearly Corrective Dark Spot Solution. Through its Activated C formulation, it limits excessive melanin more effectively and adds an innovative, valuable step in the fight against unwanted pigmentation: prevention of melanin clusters. Activated C actually breaks up existing melanin clusters, treating pigment currently present in the skin and inhibiting the formation of new melanin clusters. Look like you’ve had 8 hours of sleep despite only having 4 with Kiehl’s Midnight Recovery Concentrate! It is a powerful concentration, specifically formulated to biologically replicate skin’s natural lipids, optimally programmed to best absorb active ingredients, typically between 12 midnight to 4 am. With its ingredients – the Anhydrous Squalane, night-blooming Evening Primrose, therapeutic Lavender, Coriander and Rose Hip Seed Oils, and other nourishing oils, the Midnight Recovery Concentrate is your elixir to the restoration of youthful skin in the morning. It is high time to un-see those lines on your face with the power of Vitamin C. Kiehl’s Powerful-Strength Line-Reducing Concentrate is formulated with a high concentration of 10.5% Pure Vitamin C known for its affinity with skin and its powerful ability to improve the appearance of skin aging. Not only does the concentrate reduce the appearance of lines and wrinkles on your face, it also improves the firmness and texture of the skin. From the purveyor of finest skincare solutions comes another solution to skin protection - be part of the daily sunscreen movement with Kiehl’s Ultra Light Daily UV Defense SPF 50 PA+++. With its high levels of photostable sun filters Mexoryl SX™ and Mexoryl XL™ with Vitamin E, you can now confidently face the rays of the sun with enough protection from UVA and UVB… that is oil-free! This formulation will also help prevent the appearance dark spots, wrinkles, freckles, pigmentation changes, and thoroughly protects your skin from aging. For more information about Kiehl’s, visit www.kiehls.com, www.facebook.com/KiehlsPhilippines, and via Twitter at @KiehlsManila.